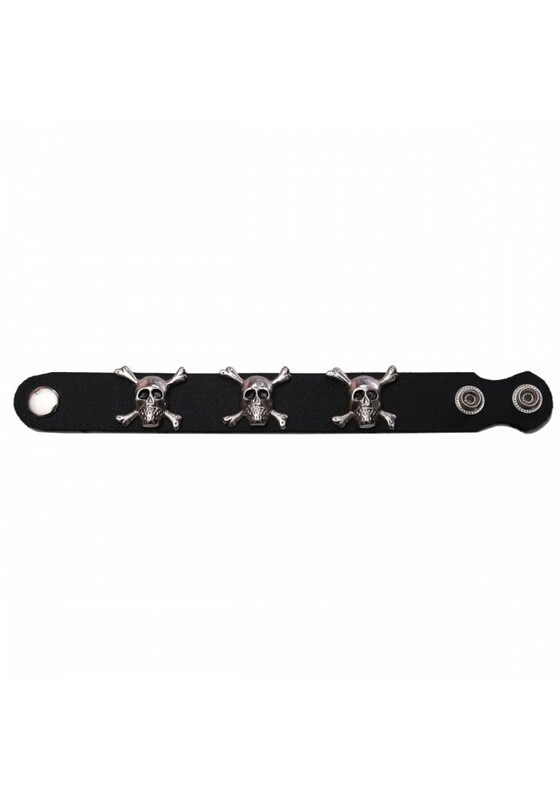 Made from leather thickness1.6 mm, these wrists bands are the perfect accessory. 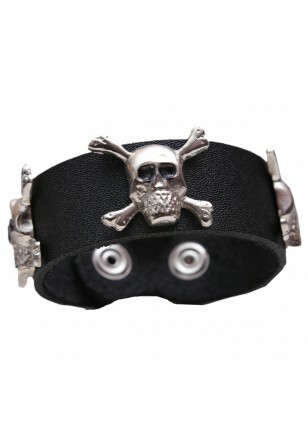 With two stud buttons, the length of the wrist band is 19cm-22cm long. The design is with three skulls and will match well with anything. Simple but fashionable.